Right now, 1.8 billion young people between the ages of 10 and 24 are studying, working and finding their purpose. They are the largest youth population the world has ever seen, and they are growing up at a time when the world is at a critical crossroad. 2016 marks the first year of action to meet the United Nations’ 17 Sustainable Development Goals. Young people are willing and able to contribute to this global agenda to end poverty, fight inequality and tackle climate change by 2030. Here are some ways that young people worldwide are working to change the world. 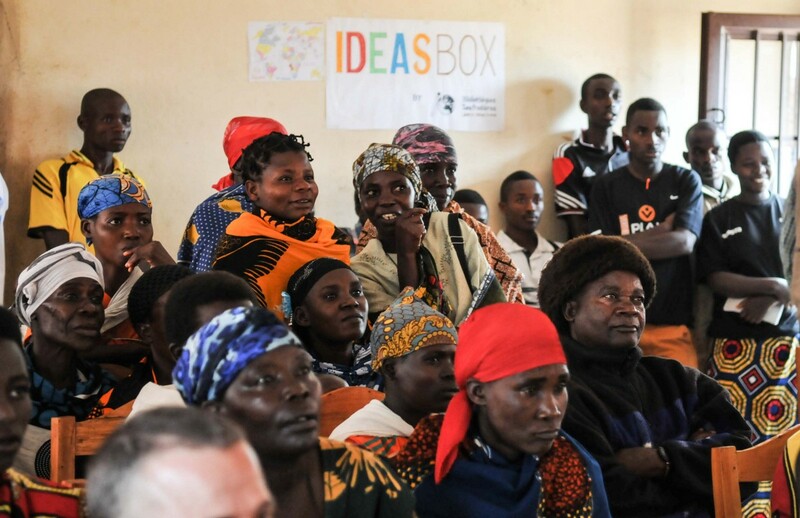 In, Burundi, knowledge is power to end poverty, one village at a time. In partnership with UNDP, Bibliothèque sans frontières (Libraries Without Borders) young staff travel across Burundi, spreading IDEA boxes, libraries containing e-books and paperbacks, educational toys and games, internet-ready mobile devices and other materials. Remote villages turn to these mobile libraries for knowledge, news, culture and to find common ground as they rebuild their societies after armed conflict and civil war. The road to zero hunger rests on the shoulders of a new generation of young people like Mercy and Shetuuka. 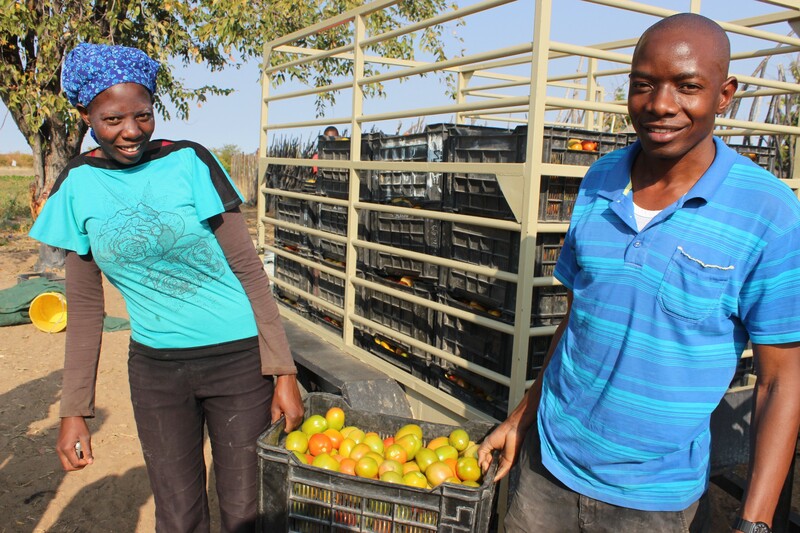 They are sibling farmers working to reduce hunger and create jobs in Namibia through environmentally friendly farming. Using drip irrigation, their efforts yield 100,000 Namibian dollars each month in sweet potatoes, onions, butternuts, cabbages, watermelons, tomatoes and green peppers, 30 percent more than the average yield for three hectares (about three football fields) of farmland. Although the practice is illegal in many countries, each year, 3 million girls under the age of 15 undergo female genital mutilation, the practice of removing all or part of the genital organs for non-medical reasons. 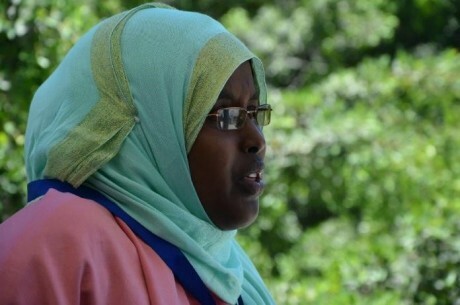 Many of the girls who survive female genital mutilation will grow up to face lifelong health issues such as severe bleeding and problems urinating, cysts, infections, as well as future complications in childbirth. In Egypt, a group of tiny activists has been traveling village to village, determined to end this practice in their country. One-third of girls in Afghanistan will never get a chance to go to school. 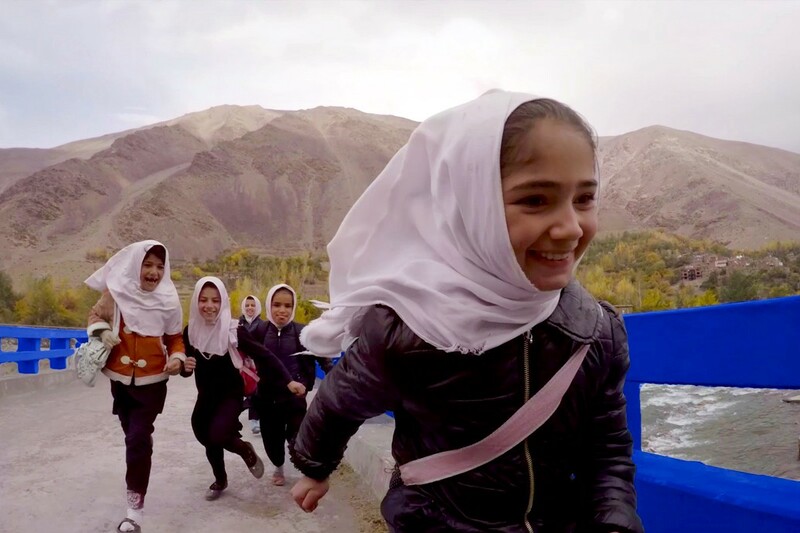 Third grader Bahara from Gozo Omerz School in rural Panjshir was that one in three until a bridge helped to change her life. One of UNDP’s 600 transportation projects to promote economic development in rural Afghanistan, the bridge led to more boys and girls enrolling in primary school, including little Bahara, by addressing safety concerns on the village’s main road. Worldwide, women are still under-represented in the fields of science, technology, engineering and mathematics. In India, with the world’s largest youth population, things are beginning to change. More than 40 percent of Indians are under the age of 20, and young women are breaking the glass ceiling by pursuing more technical areas of work like engineering. Women now make up 30 percent of computer programmers in India, and they’re gaining ground in other STEM professions. About 783 million people in the world do not have access to safe water. This is roughly 11 percent of the world’s population. Getting clean water for survival and for sanitation is even more challenging in the midst of war. 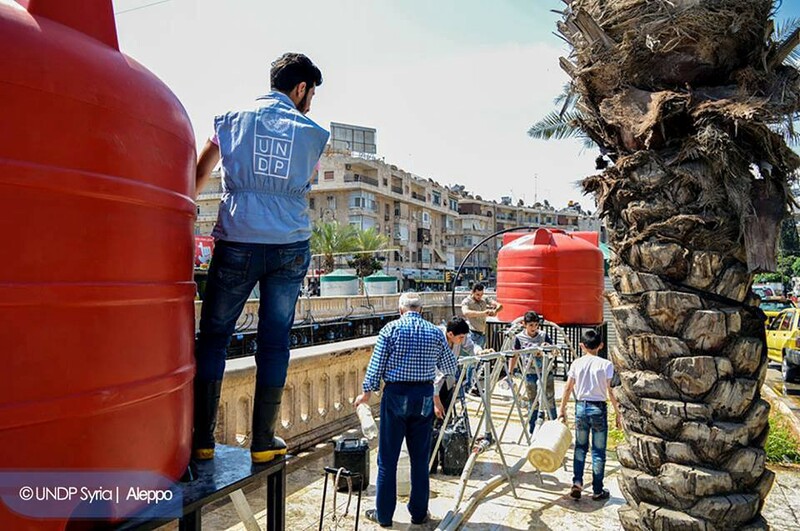 In Syria, where war has forced 45 percent of the population to flee their homes, young people with UNDP’s Cash for Work projects and youth volunteers are a lifeline for the 13.5 million people in need of humanitarian assistance who remain inside Syria. As countries work to meet greenhouse gas reduction targets as part of the historic Paris Agreement on climate change, many are turning to greener energy solutions. When Max and Dariya were 14, their science project on smart energy won third place in a school competition in Astana, Kyrgyzstan. Now in ninth grade, the teenagers’ science project is a working part of their school’s affordable and clean energy plan. The school has already saved 30 percent in heating and electricity bills and avoided 103.8 tonnes of greenhouse gas emissions in the first year of adopting Max and Dariya’s project. Education and skills training are vital to prepare the next generation for the workforce and for adulthood. In Côte d’Ivoire, with UNDP, these young people, former soldiers, are learning the skill sets they need to build industry and infrastructure in their nation. 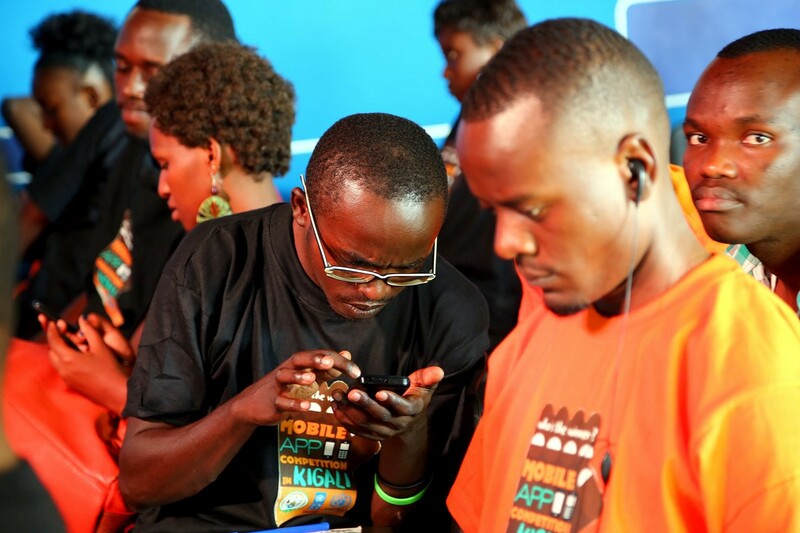 In Rwanda and other countries, government services are going digital. Young developers created a mobile application with us that citizens can use to access and track progress on government services like business license renewals, community nuisance reports, broken pipelines and other issues. Afro-Colombian communities living on the Pacific coast have historically experienced high levels of poverty and inequality. This is reflected in the high unemployment rates, especially among young people and women. 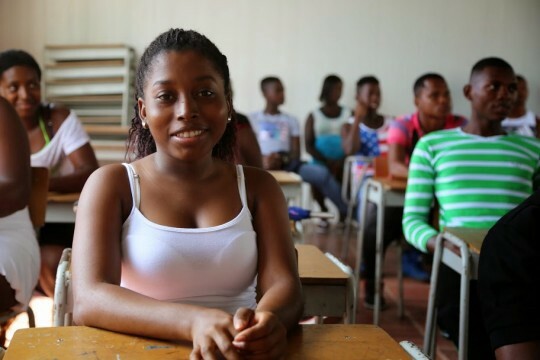 Since 2010, through UNDP’s “Growing Together” programme in Colombia, over 2,300 young people have completed leadership, business management and job training. Youth from the programme have set up 57 businesses, while others are contributing to local businesses in need of skilled workers. By 2050, 66 percent of the world will live in cities, up from 54 percent today. Creating jobs for the world’s 73 million unemployed youth is critical to meet the demands of urban growth. 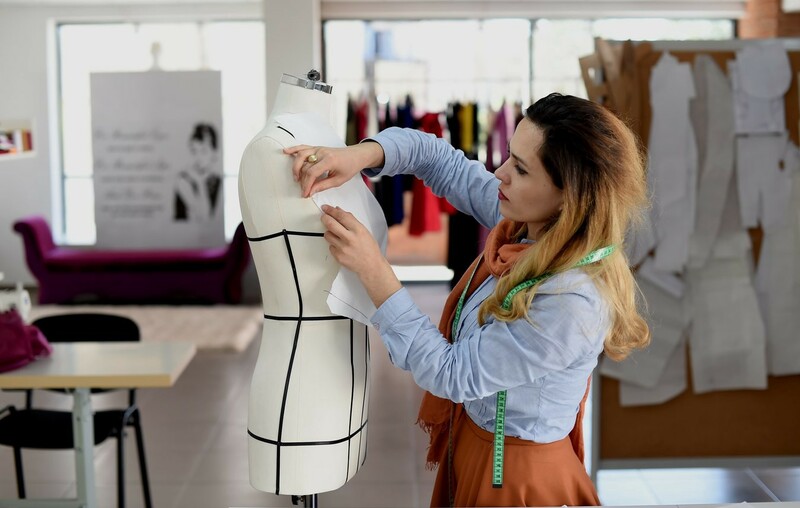 After taking part in a UNDP self-employment programme, Mirjeta returned to Kosovo* to not only establish a textile market, but also to set an example for improving working conditions in the manufacturing industry. 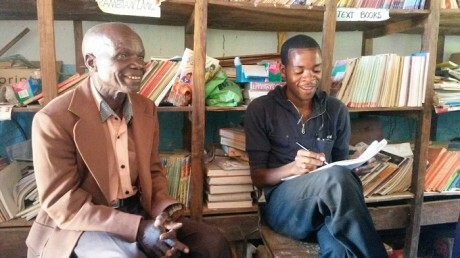 Peter from Zambia is one of the millions of young people working with his community to ensure villages use and consume natural resources responsibly for long term sustainability. By day, he’s a school teacher. In his free time, Peter teaches local farmers about sustainable farming and food processing methods. Coastal communities worldwide are at risk from flooding, rising sea levels and other impacts of climate change. 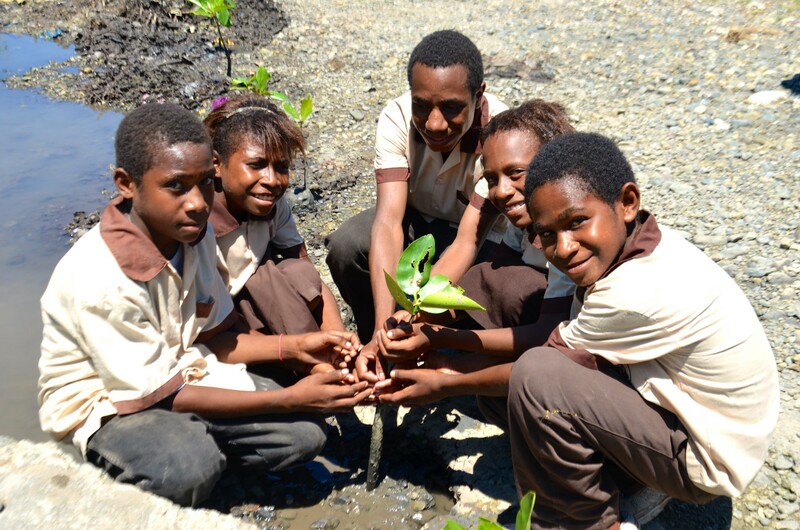 These young people in Papua New Guinea are among hundreds of young environmentalists who volunteer to plant mangroves. The mangroves protect communities from storm surges, provide a habitat for a variety of wildlife and store carbon to regulate greenhouse gas emissions. For small island nations like the Maldives, the flattest country on earth, meeting Goal 14 is a matter of survival as sea levels rise. 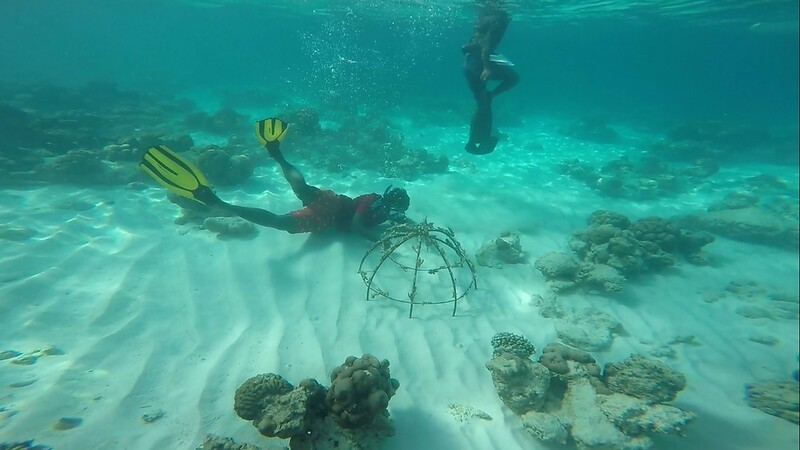 Through coral reef restoration, mangrove planting and other efforts, these young environmentalists are diving in to save their homeland. Despite the beautiful landscapes and resilient mountain people, life in the mountains of Nepal can be a struggle. Land degradation is making it increasingly difficult to earn a living off the land, forcing many rural youth to leave home in search of work. 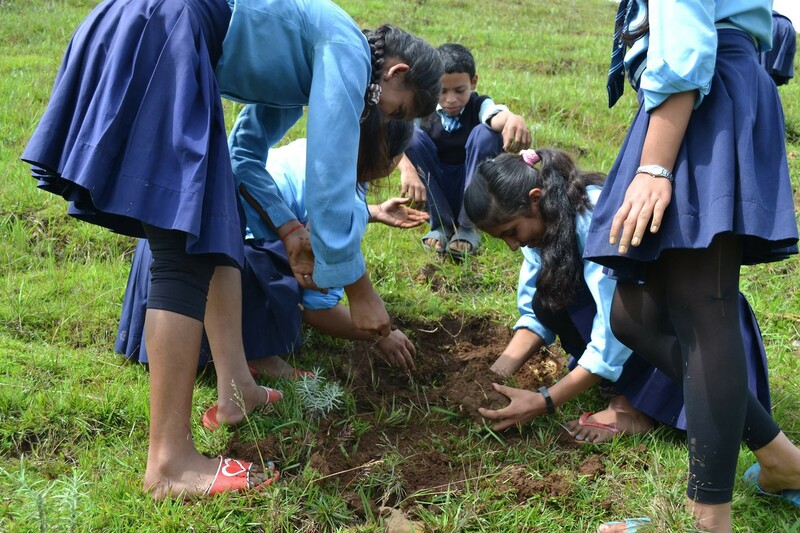 As part of their local 4H club, and to invest in their future, these young environmental activists are restoring 10 hectares (about 10 football fields) of barren land, transforming it into sustainable agro-forestry plantations filled with fruit trees, grazing grass and fuel wood. Decades of civil war have created a brain drain in Somalia, with many talented young people emigrating in search of safety and economic opportunity. Lul from Mogadishu is working to reverse this trend. 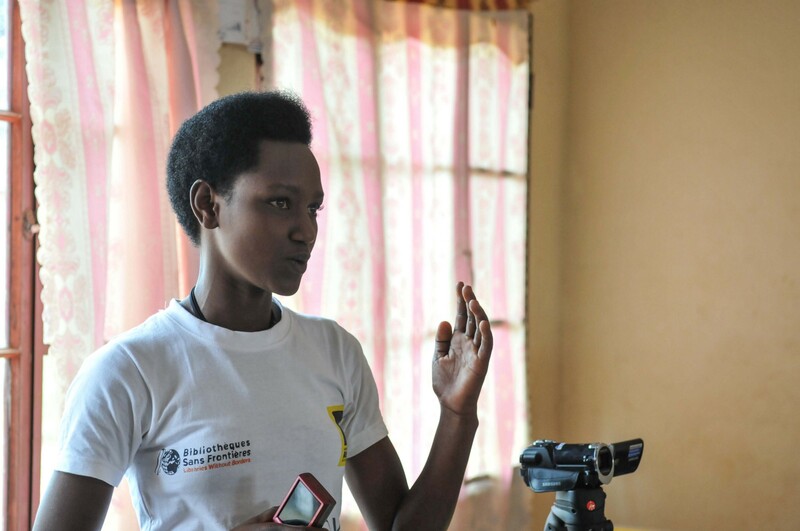 She and 44 other graduates are part of UNDP’s Young Graduates in Parliament project, bringing their education and skills to bear to strengthen governance and the prospects for lasting peace. Meeting these 17 Sustainable Development Goals requires a global partnership with youth playing a central role. 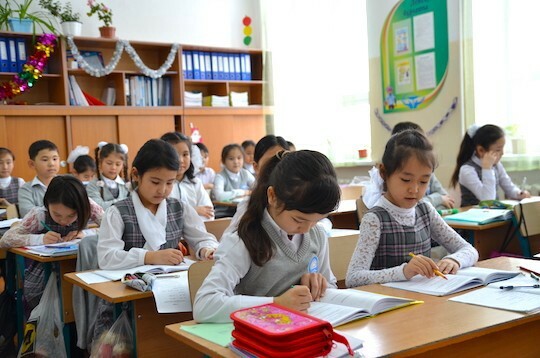 In Turkey, 16-year-old Asrat plans to do her part by becoming a teacher. She’s taking advantage of skills training from the Hisar Antatolian Support Society. Funded through a partnership with Coca Cola, the Society offers skills trainings for young women from rural communities.